If you're confident, you smile more. If you smile more, you feel more confident. Very Professional, Caring and Customer Focused..
very good staff and a very good dentist. i’ve been going ever..
We are committed to helping patients afford their dental care needs. Ida Alfonso Dental Arts is your local, family-friendly dental office, and we manage everything from cleanings and exams for the whole family, tooth whitening, Invisalign, implants and implant restorations, periodontal therapy, and cosmetic dentistry. What’s more, all our treatments are provided by our skilled and compassionate passionate dentist, Dr. Ida Alfonso. Located in Carlsbad, CA, we are your local, comprehensive dental solution for the entire family. Ida Alfonso, D.M.D can help you begin your journey to a healthy, beautiful smile. With our convenient location in Carlsbad, California, we treat patients in the surrounding areas of Vista, Oceanside, San Marcos, and Encinitas. We help achieve our goal of "teaching" by emphasizing excellent homecare and regular, twice yearly professional cleanings and exams. Our goal for you, your children, and family are never to need dental work in the future and prevent gum disease for life. Dr. Ida Alfonso is a well-loved dentist in the beautiful city of Carlsbad, CA. She is passionate about enhancing the smile of her patients. She believes that a smile can make a difference. Her understanding of various dental needs, allows her to be compassionate and empathetic to her patients. Her dedication and commitment to the highest standard of dentistry motivate her to reach the best possible outcome in all her procedures. Her clinical practice focuses on restorative, cosmetic, orthodontics and family dental procedures. 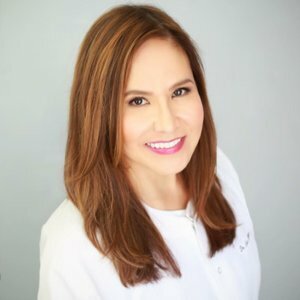 She has been trained by dental experts from UCLA, Esthetic Professional and is a member of American Dental Association, California Dental Association, San Diego Dental Association, and an Officer to San Diego Filipino Dental Association. Her love for continuing education assures that her procedures only follow the latest dental techniques with the most updated technology available. We have an in-house insurance plan if you are looking for one. Please call us for more details.